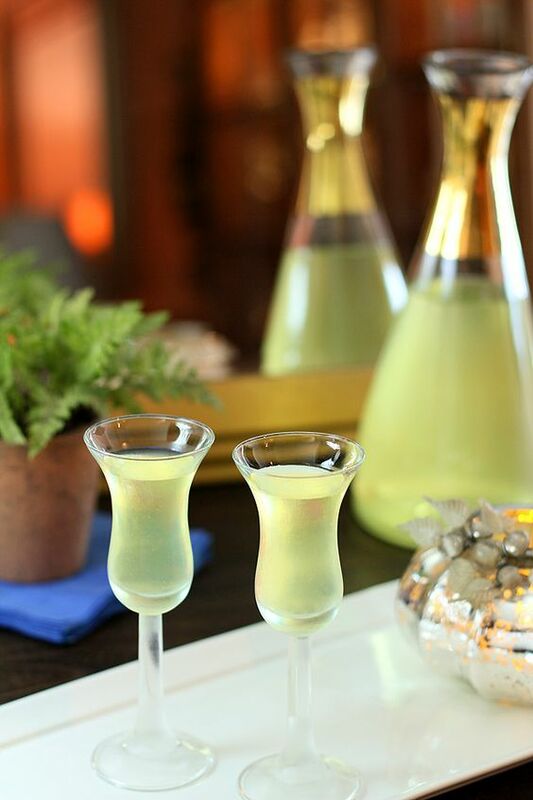 The Best Limoncello is Homemade Limoncello! It's such fun to make your own Limoncello! Wash the lemons well with soapy water, rinse and dry. Remove the yellow part of the lemon peel with a sharp peeler being careful to avoid any of bitter white pith. If any pith remains on the back of a strip of peel, scrape it off with a sharp knife. Put the yellow peels in a jar or bottle, add half of the vodka and seal tightly. Leave the bottle to steep until the peels lose their color, at least 2 weeks.